We received some more of Susan Cockburn's Flower dies, and Selma has made the flowers and added them to a chart for you. 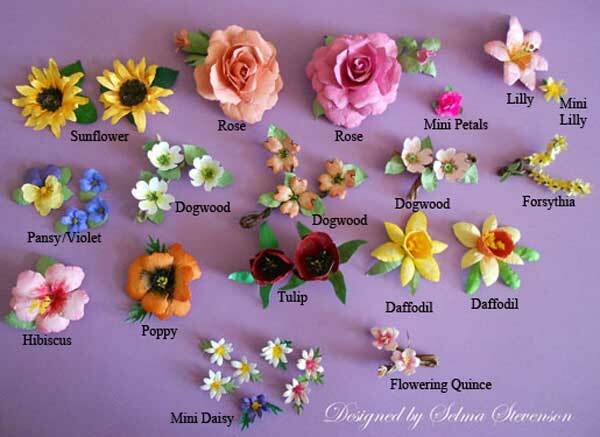 You might want to print these charts so you can refer back to them to see what kind of flowers you can make using Susan's Dies. WOUW these are gorgeous too. 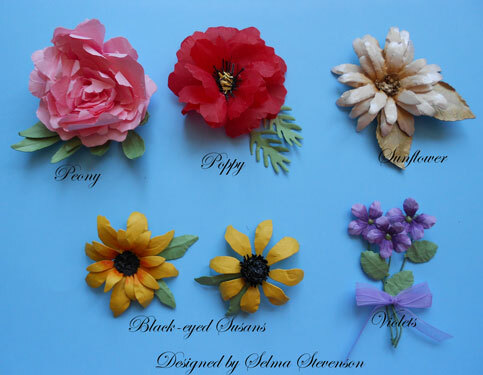 Sooo many stunning flowers to make now a days. If we now just was just as good as Selma to make them too, then it would be sooo perfect. Yours looks fabulous Selma. I really love them all.